To craft a stadium that creatively embodies the proud history of the Dallas Cowboys while simultaneously giving the franchise the indelible look of the future. Since its founding in 1960, the Dallas Cowboys have become one of the world’s most renowned professional sports franchises. Nicknamed “America’s Team,” the Cowboys’ former stadium was known for its iconic Ring of Honor and “hole” in the middle of the roof. 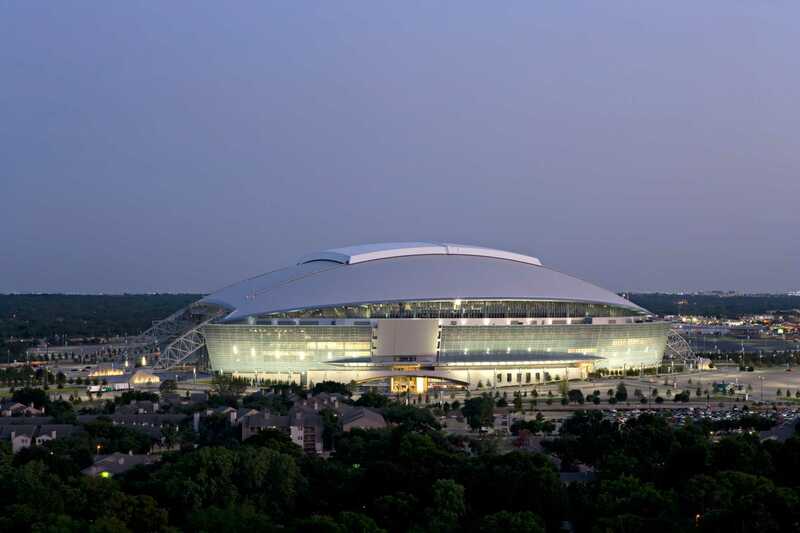 Forward-thinking HKS architects incorporated those brand features into the Cowboys new home, AT&T Stadium, designing a retractable roof and prominent interior space to honor stars of the past. But the stadium design also steps into the future with plush stadium seats and luxury boxes located at field level to enhance the stadium’s 5-Star hotel feel. 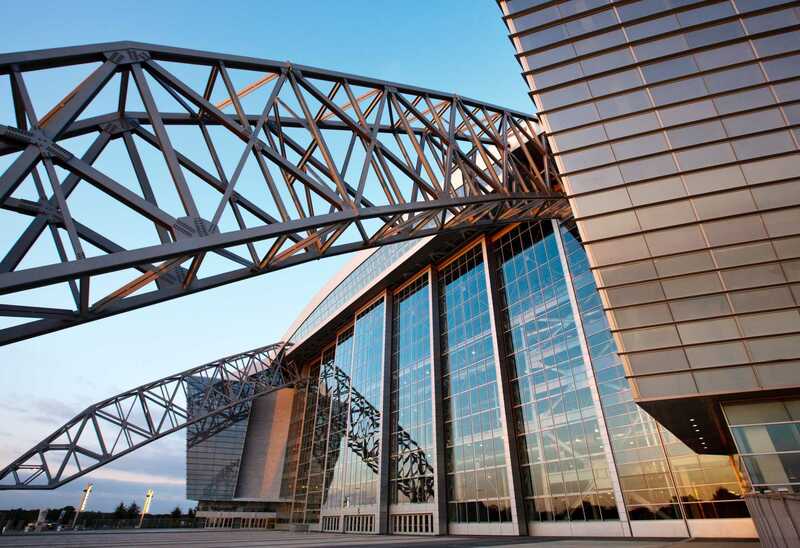 In addition, canted 800-foot glass walls span the length of the stadium and two powerful steel arches – the longest single-span arches in the world – support the structure’s interior while framing its two end zone entry plazas. 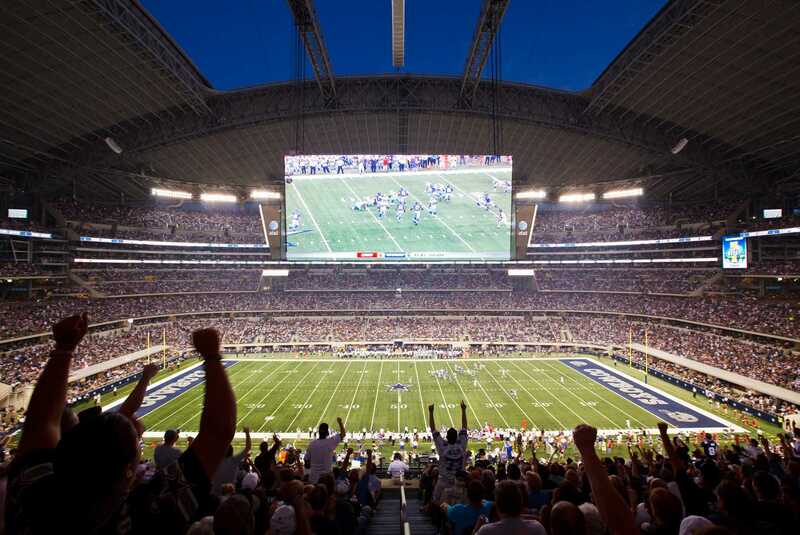 AT&T Stadium is more than simply a showcase for the Dallas Cowboys. It redefined what fans expect from an NFL gameday experience. It has the world’s largest jumbotron, art worthy of a modern art museum, clubs and experiences that reset the benchmark for professional football fan experiences. AT&T Stadium has hosted the 2017 CONCACAF Gold Cup, Super Bowl XLV in 2010, and the 2010 NBA All-Star Game. Beyond sporting events, the stadium hosts concerts ranging from U2 to Beyonce.